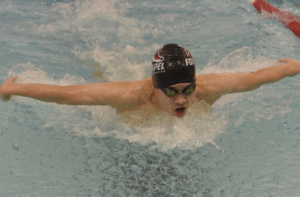 It has been two decades since a Foxes’ boys’ swim team won a section title, but Coach Dan Taylor thinks this might be the year. His optimism comes on the heels of his concerted effort to rebuild a program that, five years ago, only had about six male swimmers. 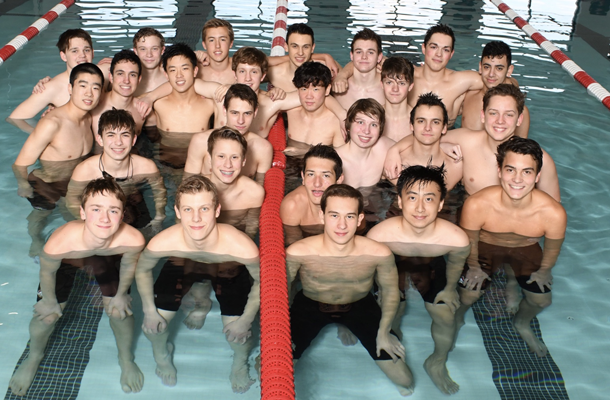 The 2018-2019 combined boys’ swim and dive teams include 32 members. “We have more depth this season, a strong junior and senior class and, top to bottom, it’s the best team I’ve had in my four years as head coach of the Foxes,” says Coach Taylor. Last season the team finished 8-3 overall and placed 16th at the WPIAL Class AAA Swimming and Diving Championships. As of January 8, 2019, the team is 6-1 overall and 2-0 in section meets. This season, senior Nathaniel Roe (100 free and 100 backstroke) and junior Will Wang (200 IM and 100 breaststroke) already qualified as individuals for WPIALs, and certainly more will be added to the list in the weeks to come. In addition to Nathaniel and Will, returning scorers are seniors Ian Chang, Colin Hackwelder, and Daniel Logue, and juniors Evan Gu and Jake Sperry. 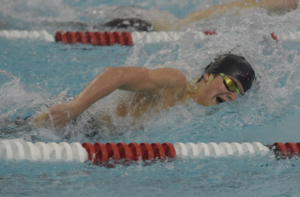 The swimmers and their coach agree that the season probably will hinge on the results of the last section meet against Franklin Regional, and will go down to the final heats. In recent years, Franklin Regional has been the spoiler in the Foxes’ contention for the section title.